Our specialty adapters are Aluminum Adapters made of a T-6 Grade Aluminum Forged Extrusion with Fyrelane USA. strict Specifications. We also feature a 30 Degree Aluminum Adapters which is designed to give your hose the proper angle to allow for a kink free connection. Rocker lug swivel allows for a quicker connection. 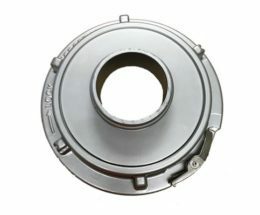 Our specialty adapters are designed to offer you a quality product that meets your requirements. Various Sizes available please call or see our catalog for list of sizes.